Bash script to create contact sheets (preview images) from videos. Written in Bash, LGPL license. A mobile network type indicator for Android devices. Written in Java, not open sourced (yet?). A command-line interface to retrieve passwords stored with the Revelation Password Manager. Written in Python, BSD (New) license. Nautilus plugin to open the real location of symlink'ed directories. Written in C, LGPL license. An mp3 bitrate plot tool. Written in C++, GPL license. Easy file sharing between devices at maximum speed. Add a search engine in compatible browsers (e.g. to Firefox's search box) to search Google with no extra arguments. My capstone project, a basic multithreaded webserver core (plus its accompanying paper on its design and implementation process). This is an academic project, definitely not ready for production but might be of interest to someone for reference purposes. Writen in C++11, GPL license (paper under CC-by-sa license). A simple FUSE-based filesystem in which filenames are obfuscated and random bits prepended to files (no encryption applied, for real security take a look at EncFS). Mainly an excuse to write a FUSE FS, but also something that might be used in situations with low security requirements and low CPU power. Status: Working (beta-level), still adding features. Below this line, it's no man's land. Plugins Relative URLs, Interlinks+, JS Base2 and JS Syntax Highlighter. Bash script set mythtv-helper-scripts: mythtv-sql-inject, mythvideo-player and mythtv-get-program-info. Some patches for MythTV were coming but due to bad signal reception I can't use MythTV as a DVR right now so can't really test them enough for the time being. Some Java classes extracted from my programs, either current or abandoned. Public Domain and BSD license. Written in Java, BSD (New) license. These are abandoned (or temporarily abandoned) projects. 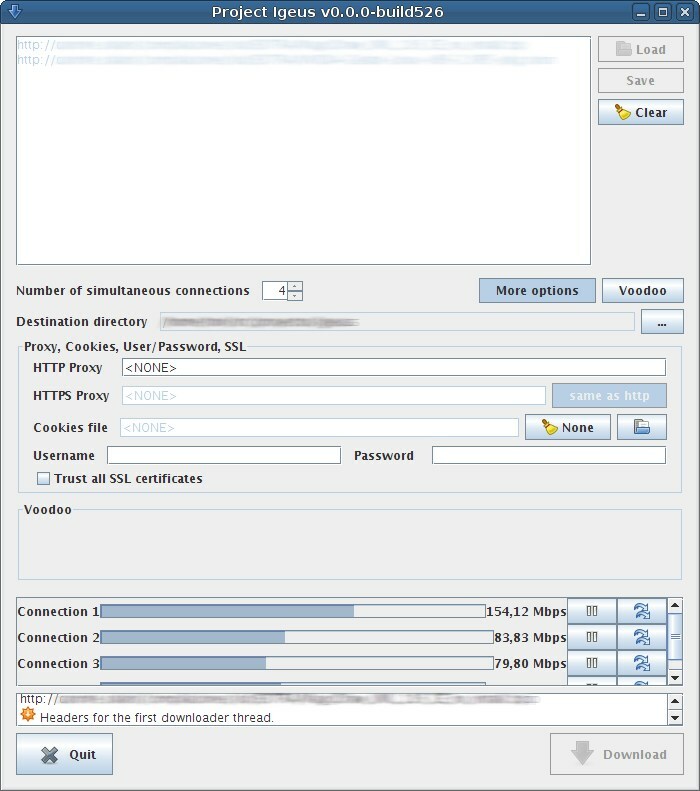 A parallel (aka multi-connection) downloader, much like axel, prozilla or GetRight. Since none of the parallel downloaders I know of available on Linux support https I started mine. Written in Java, License to be decided. 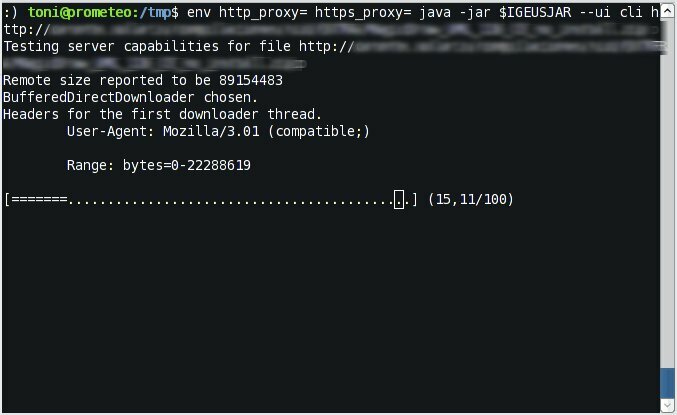 A wrapper around wget, curl (and possibly others) to download *different* files in parallel (unlike Igeus which downloads parts of a file in parallel). Built on top of pluggablejs. Status: ABANDONED. Pre-release, working but with some rough edges. A J2ME/MIDP notepad (notepad for Mobile -Feature- Phones). I don't discard resuming work on it at some point. Written in Java J2ME, BSD (New) license Supported languages: English, Spanish & Catalan.